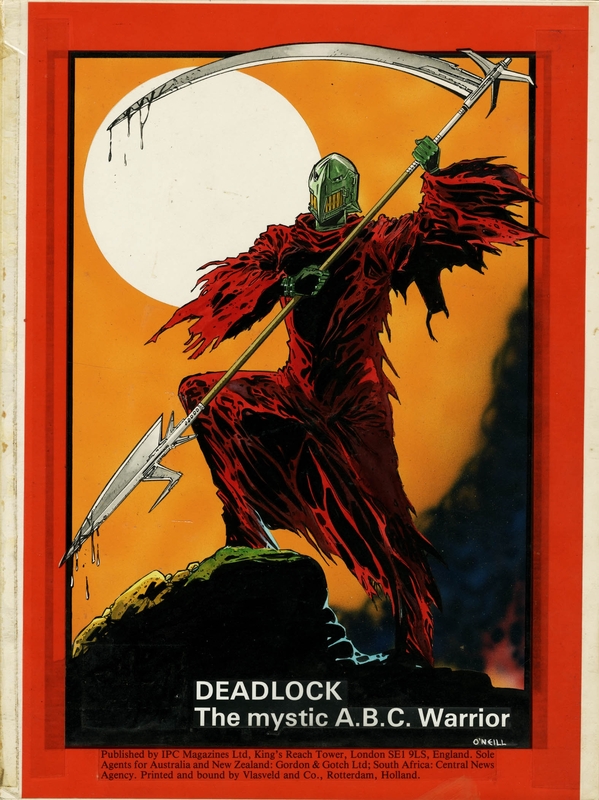 This gorgeous pin up is from the 2000ad annual dated 1981 ( It came out Christmas 1980 ) and is the Inside Front Cover , featuring Deadlock from the ABC Warriors by master artist Kevin O'Neill, who has gone on to huge fame with Alan Moore on League of extraordinary Gentlemen. This is a glorious example of Kevin O'Neill's design work for the new ABC Warriors series. Art is 29 X 39 cm. on art board.